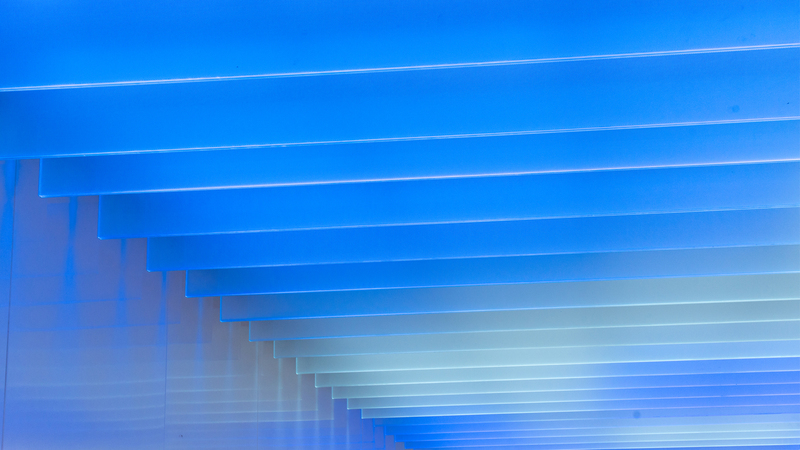 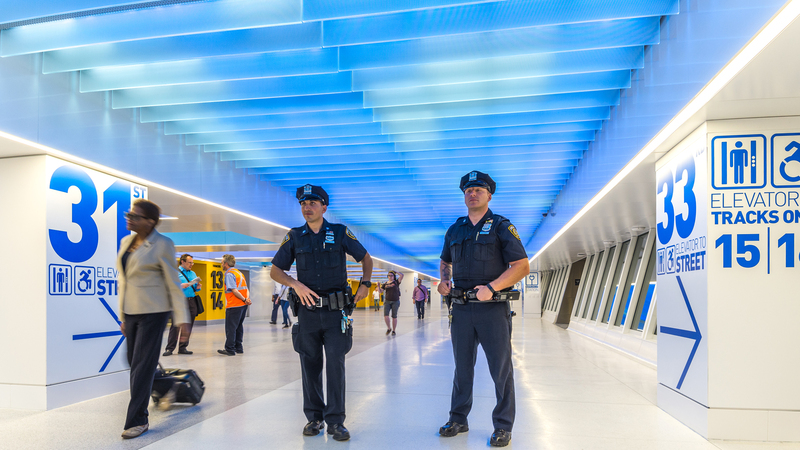 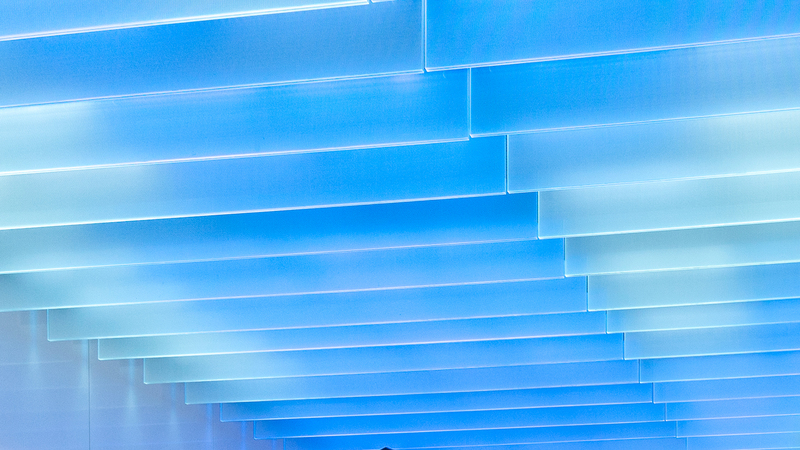 Skyscape is a bespoke light art installation, spanning the length of the ceiling at the new west end concourse of the Moynihan Train Hall, Penn Station, New York City. 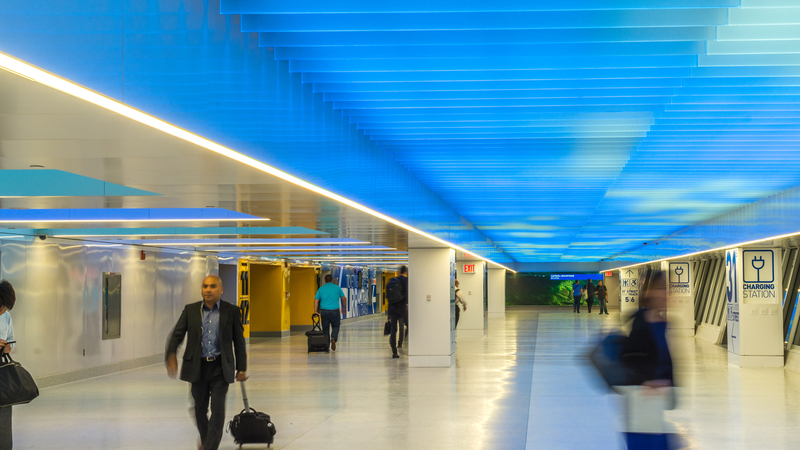 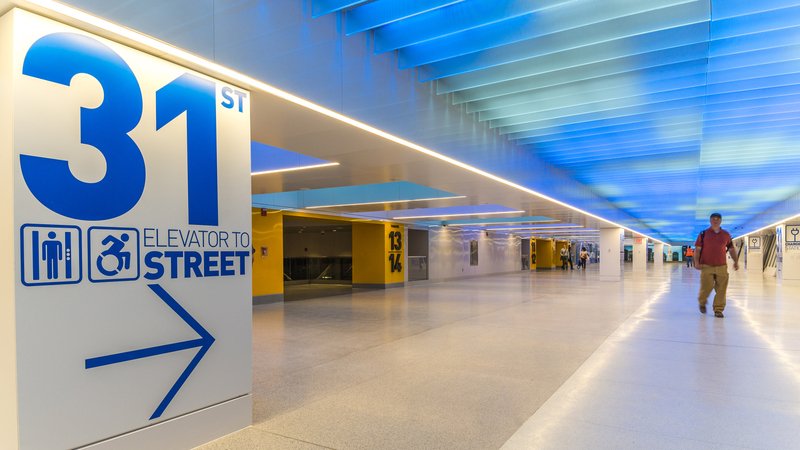 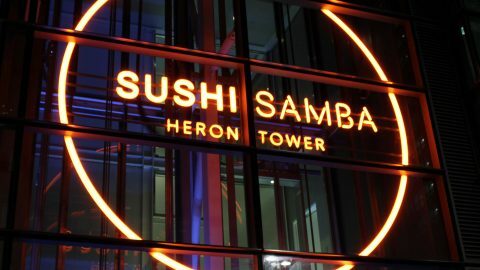 Designed by Skidmore, Owings & Merrill LLP (SOM) for client Moynihan Station Development Corporation, with lighting design & manufacture by The Light Lab, in collaboration with artists Studio miriamandtom. 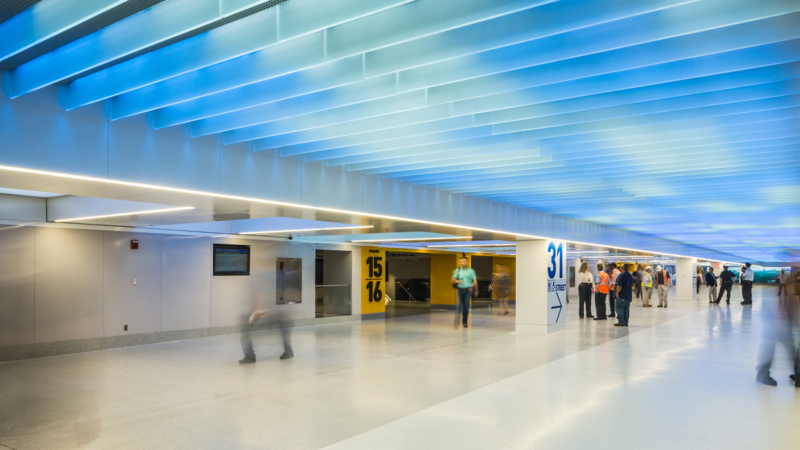 Skyscape, Penn Station, New York City from The Light Lab on Vimeo. 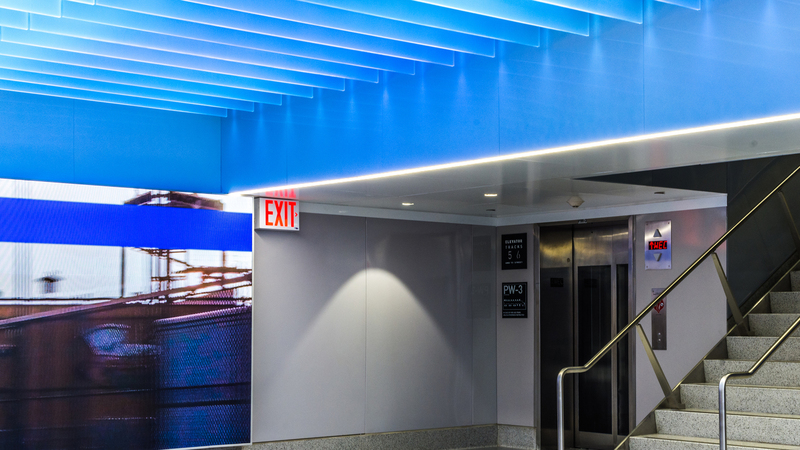 Peter Fajak, Associate Designer at SOM, describes how their initial proposal was to “create a fully animated digital sky in a variety of different media with edge lit glass fins, backlit ceilings and digital media screens”. 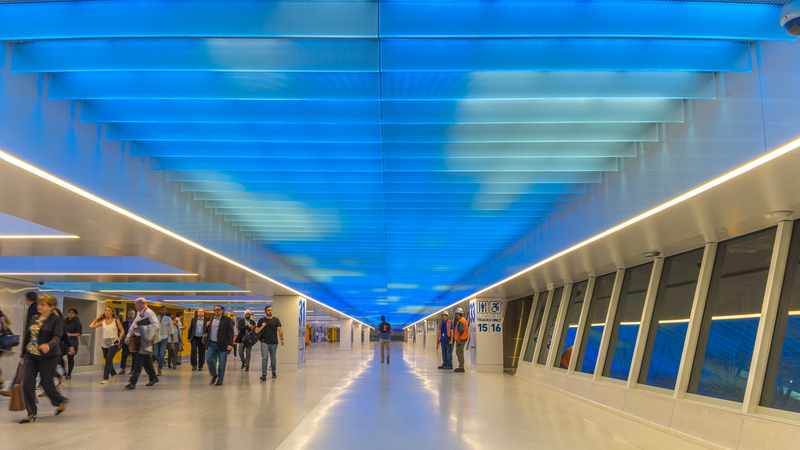 Effectively ‘bringing the sky’ and an “above ground quality” to the dark underground transit tunnel; “Filling an underground world with sky & light, to transform it into a habitable environment. 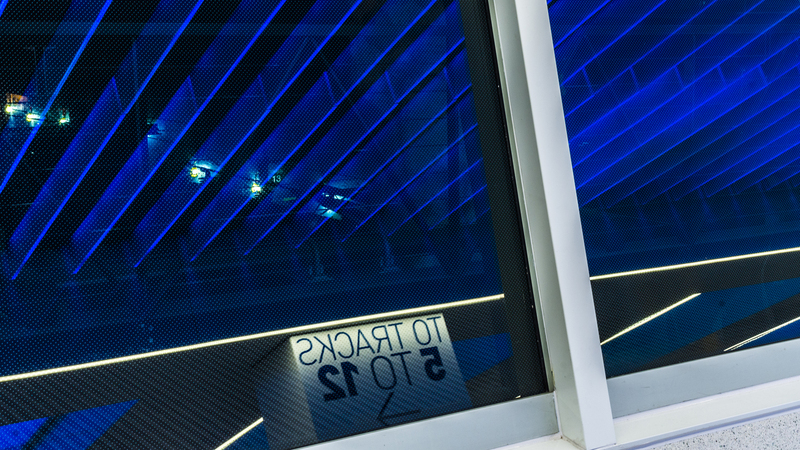 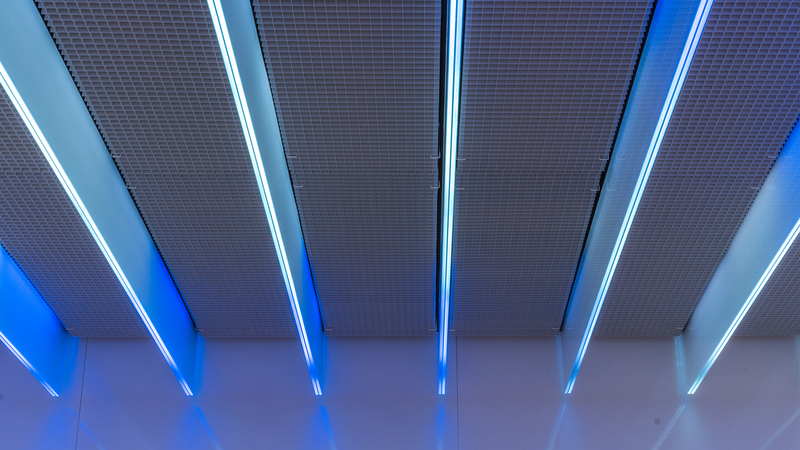 The project contractor Skanska & and electrical contractor Welsbach, commissioned bespoke lighting manufacturers The Light Lab to work on the design and build of this ‘digital sky’, using their bespoke edge-lit glass product Spectraglass. 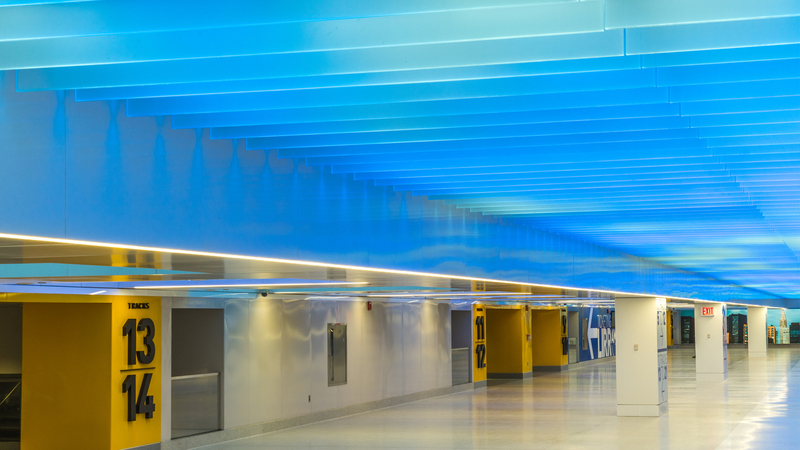 The Light Lab designed & manufactured an easy-fit support structure and LED glass fins to fill the expanse of the 15’x300’ ft ceiling. 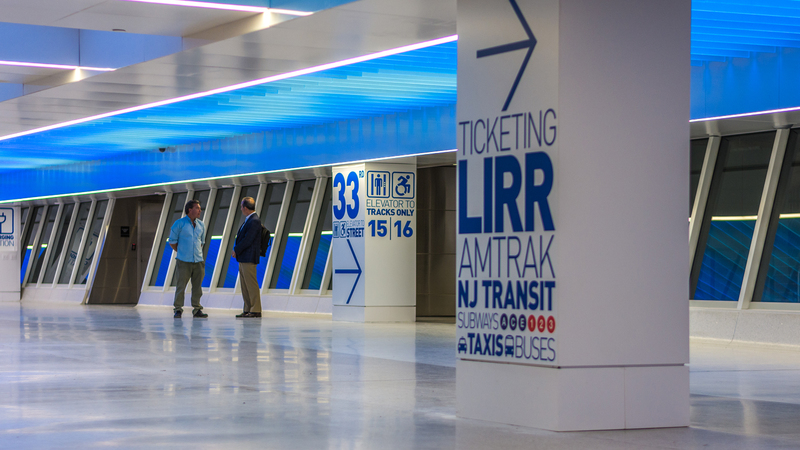 The brief included making all the services above the fins easily accessible, so the design mounted the fins on easy slide carriages on precision rails. 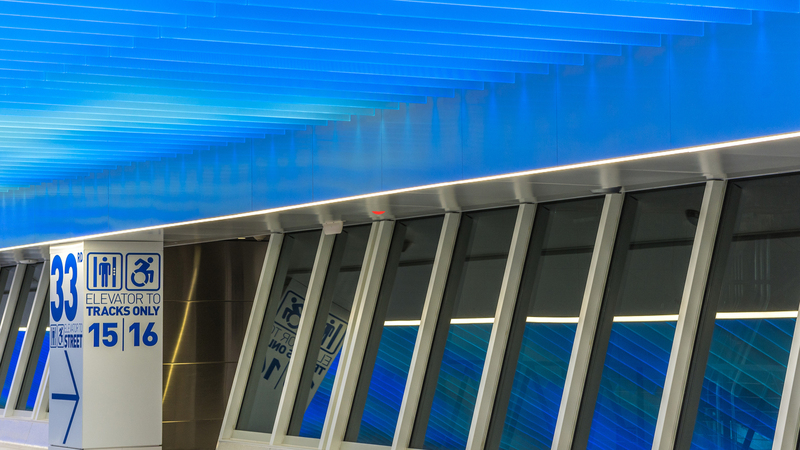 The 2,000 pixels of RGBW LED light, softened through the glass, gives a gentle, calming sense of space in an otherwise confined and overcrowded space and has been very well received by the harassed commuters, as they wait for the full redevelopment of the station. 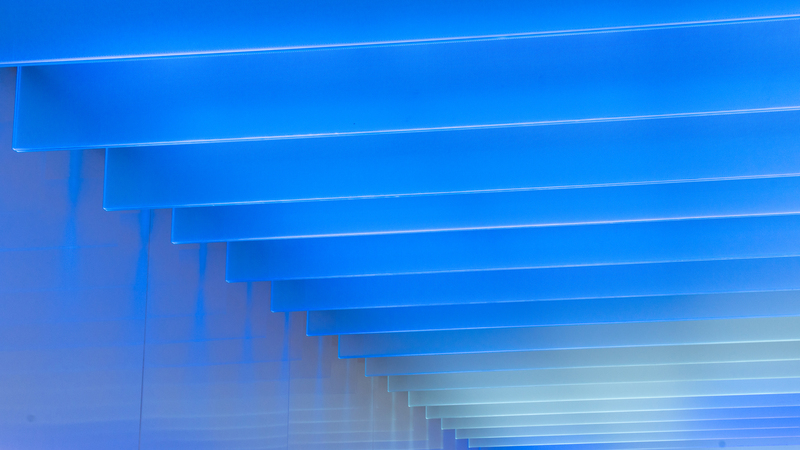 They called on the services of Studio miriamandtom to create ‘Skyscape’, an animated and voluminous sky scene that drifts across the ceiling, whose deft touch gives the piece its true class.